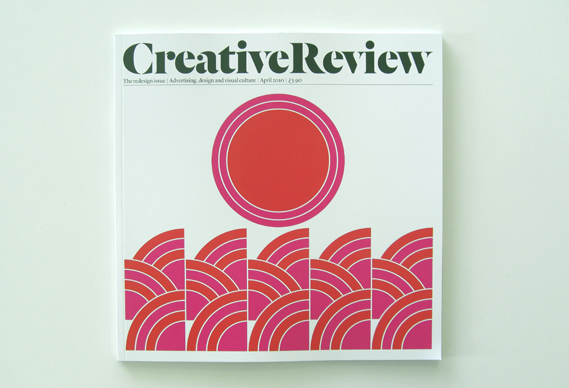 For those of you who have nothing to do with the design or creative industry, you’ll never have heard of Creative Review. For as long as I can remember (and that’s a long time) CR was the go to magazine for who’s doing the best and most creative work in the design and advertising world. In the eighties and most of the nineties, it was the ONLY industry magazine that was worth reading. As a young designer in learning my craft in Leeds, the day it arrived was an oasis of creativity in my world of mundane design work that was Leeds in the recession hit early eighties. Since then, it’s become a fixture in every studio I’ve worked and as I migrated from designer to manager (and back again) it’s been an industry constant that everyone measured their work by. It was notoriously difficult to get any work in there too, making it all the more prestigious. In more recent times, in my MD capacity, I’ve passed on the magazine to designers to read and to be honest not had the time to do anything other than flick through it’s contents. I was more than pleased then, to see that they’ve given the magazine a complete overhaul – and one that makes me want to buy it and read it like I used to: greedily and selfishly, at home. If it reads as well as it looks, I should be in for a real treat. Likewise just usually have a quick flick and pass it on,but I might have to read this one.. a nice font, but I don’t think the Creative Review header really has the legs to go the distance.